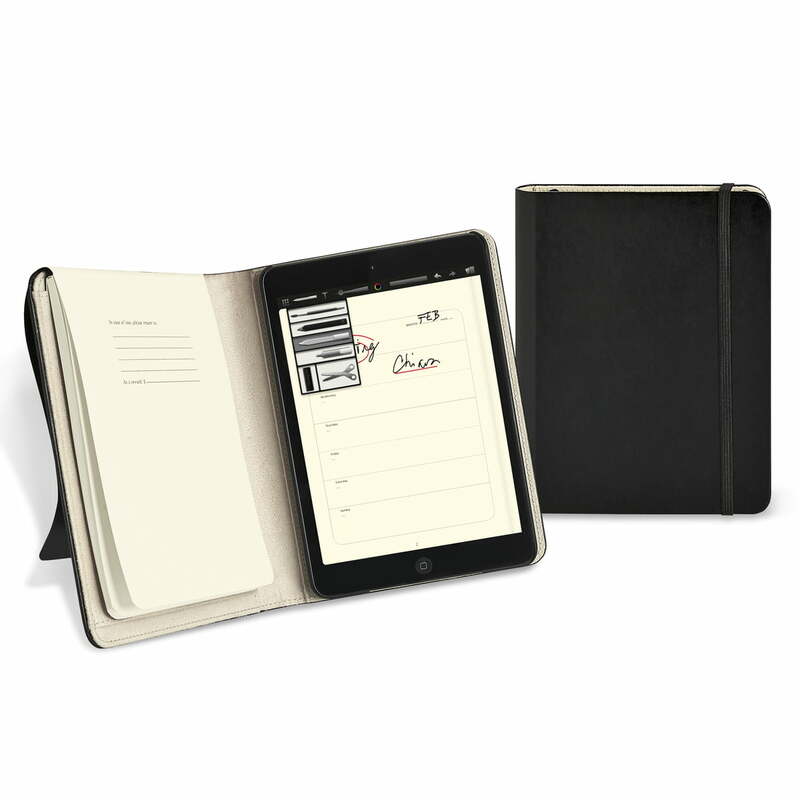 The practical iPad Mini Cover by Moleskine protects your iPad Mini from shocks and scratches and it appears in the noble design of the classic Moleskine books. The iPad Mini Cover is closed with a rubber band as well as the legendary Moleskine notebooks. Inside, the cover is filled with microfiber and it has a rubber-coated frame for the tablet. 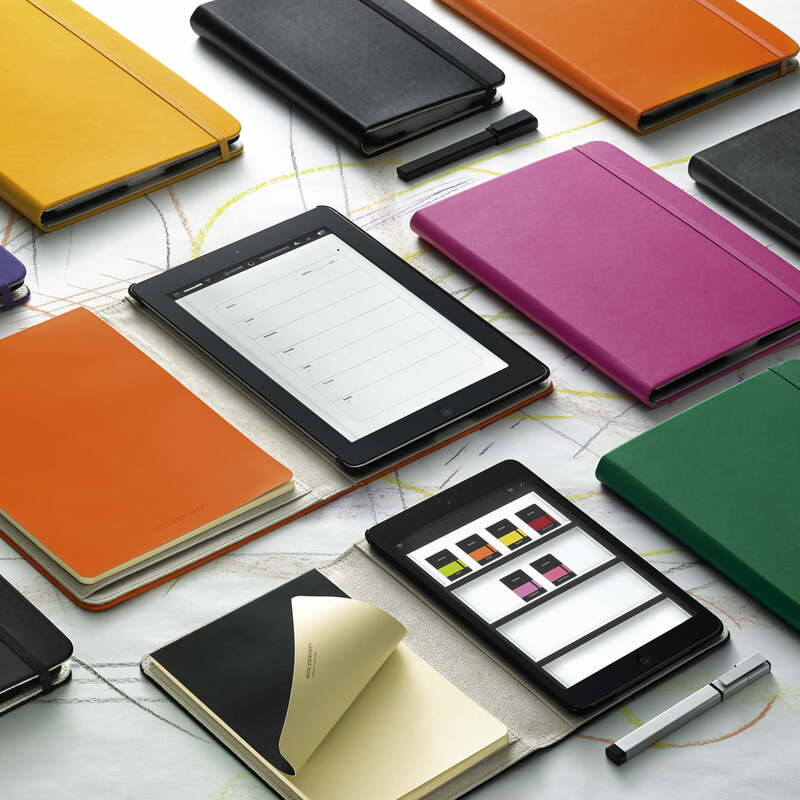 The iPad Mini Cover by Moleskine combines the digital with the analogue world. Inside of the book there isn’t only a compartment for the iPad, but on the other side there is a notebook with 96 empty pages for written notices or sketches. The block can be exchanged. 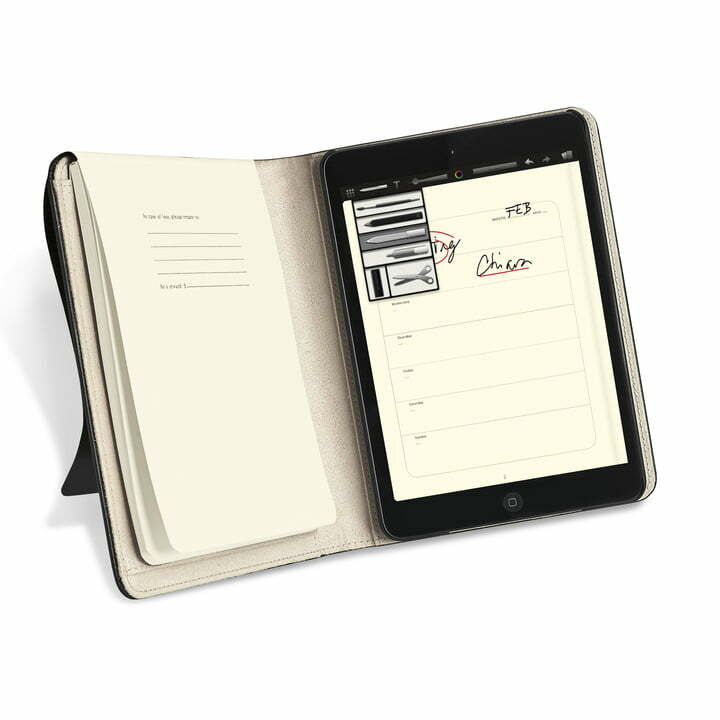 The notebook encloses the iPad Mini from the upside. The block as well as the iPad are rotatable and usable one way round, so that the iPad Cover suits right-handers as well as left-handers. On the back of the Moleskine iPad Mini Cover there is a camera opening for you to use the iPad as camera while it remains in its cover.